The Chief Executive Officer of Bahrain Tourism and Exhibitions Authority, H.E. Shaikh Khaled bin Humood Al Khalifa, applauded the success of the fifth edition of the Bahrain International Airshow, which was held under the patronage of His Majesty King Hamad bin Isa Al Khalifa, King of the Kingdom of Bahrain, expressing his sincere congratulations to the Personal Representative of HM the King and Chairman of the Supreme Organizing Committee, His Highness Shaikh Abdullah bin Hamad Al Khalifa, on the success of hosting the Bahrain International Airshow, which witnessed a remarkable success and unprecedented public presence. 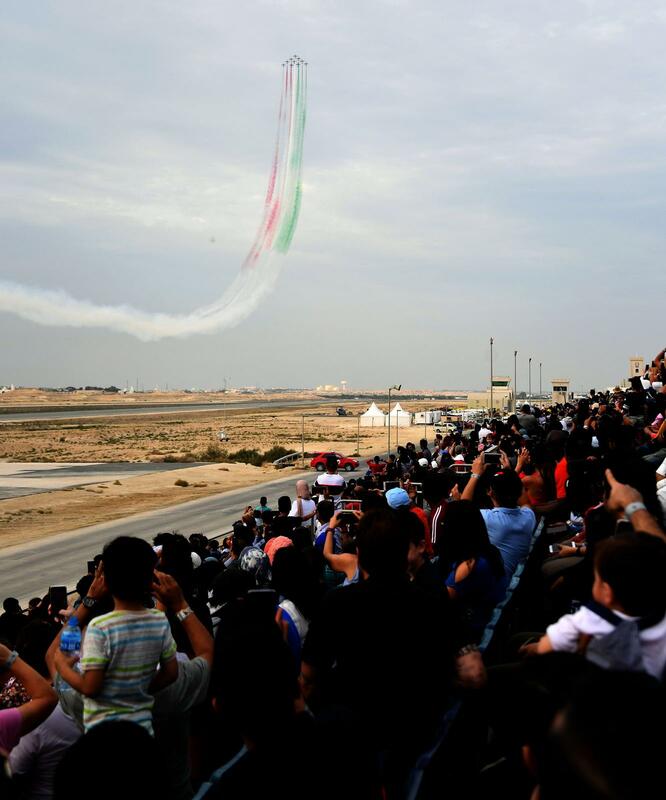 “The Bahrain International Airshow is a great opportunity to showcase the Kingdom as a tourist destination capable of hosting the world’s largest event,” said the CEO of BTEA, H.E. Shaikh Khaled bin Humood Al Khalifa. H.E. Shaikh Khaled bin Humood Al Khalifa emphasized that the success and growth of Bahrain International Airshow over the years, which is held under the patronage of His Majesty King Hamad bin Isa Al Khalifa, King of the Kingdom of Bahrain, positions the Kingdom as a prime destination for Meetings, Incentives, Conventions and Exhibitions (MICE).